I've written a novel based on the Simm!Master and Tate's Donna Noble. 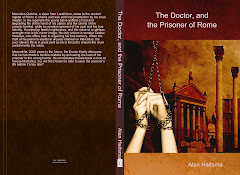 For those who are interested, it's available at LuLu.com in paperback and PDF. A year has passed since the earth was restored to its rightful place in the solar system after the defeat of the dark legions. Donna, a timelord’s excompanion, is oblivious of her previous adventures with her lost friend, but fails to find happiness in the dreary routine of every day life. At the same time, a troubled young man with severe memory loss tries to survive in the London streets. His only valuable possession that links him to his past is a silver ring engraved with alien symbols. When his ring accidentally falls into Donna’s hands, strange events follow, starting with dreams in which she’s haunted by a man in a mysterious blue wooden box. When Donna sets out to find the ring’s rightful owner, she soon finds herself in danger as the identity of the young man is revealed to his enemies. 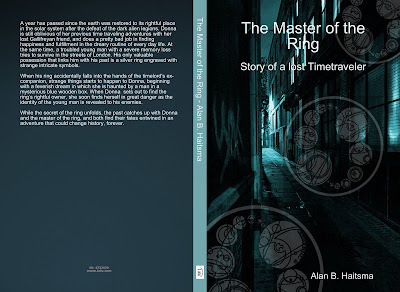 While the secret of the ring unfolds, the past catches up with Donna and the master of the ring. Both find their fates entwined in an adventure that could change history, forever.